Ianne Martin (neé Marianne Martin on Dec. 23, 1975, in Manila) is the youngest child and only daughter of a businessman Eddie Martin and wife Jeng. In her early years, Marianne created bows and bags and sold them to her classmates and teachers. A popular personality in school she excelled in academics, defying what many might have thought that she’s no more than a pretty face. Marianne's creativity was honed by her grandmother. She was taught how to create things out of spare fabrics, ribbons, laces and beads. She was trained how to perfect her craft in her early years. She continued creating and selling her crafts in high school and later when she was in college, representing the Youth Foundation and became the Ambassadress of beauty and intelligence in her university. She also pursued modeling when she was 14. She believes that a person should not stop learning. True to her words, she mastered her craft and became extremely productive. Due to her perseverance, one of her goals is to earn her first million by the age of 20. She opened a business while studying, and RTW store with merchandise she brought in Hong Kong, Thailand and Korea. With her family and friends' support, she earned her first million exactly how she envisioned it - at the age of 20. Marianne is friendly and has a soft spot for victims of bullying. Marianne describes her childhood and life in school as "The Fundamentals of Learning". Marianne is a Tourism major. The influx of china-made clothes did not augur well for her RTW business, so she shifted to travel, giving birth to M Travel Agency. Her lack of work experience did not stop her in becoming an entrepreneur. Passion for travel and fashion are the only weapons she had in her hands to jump-start her business once again. In her every travel, she is hell bent in discovering latest trends in fashion and entrepreneurship. During these times, she met a good friend from Indonesia and they ventured on additional product – furniture. She did not have any idea on furniture making, but her keen sense of style and design lead her to be successful in the furniture business. She met the man of her dreams at the height of her career, but that became one massive hindrance to her building a family. She had difficulty in her pregnancy and little by little withdrew herself from the career she loves, at her husband's request. She went to the United States for her pregnancy to be well monitored, and all she had were small figurines of Sto. Nino and St. Pio. Miraculously, Marianne gave birth to Joshua, her only child. Ever since, she became the domesticated one and always with her son most especially during his formative years. As the saying goes, "once an entrepreneur, always an entrepreneur". Up until her son's sixth birthday, she started to get back to working again, but this time she went against her husband's preference. She went back to school and formalized her interest in fashion by studying at Philippine Fashion Institute that would later result to Nouvelle Haute Couture. One of Marianne's dreams is to travel the world before reaching 40, and she did. Together with her family, every chance they get they travel the world, from Asia to Africa to North America and South America to Europe and Australia. Establishing Nouvelle was not easy for Marianne. Just like any other businesses, it was more difficult for her during its early stage for she kept it from her husband and her family and due to perseverance and passion Nouvelle Haute Couture came to be known as the fashion house to the politicians, models and celebrities like Kim Chiu, Toni Gonzaga, Alex Gonzaga and Ruffa Mae Quinto to name a few. At the recent Fashion Forte (Series Three) at Holiday Inn Manila Galleria’s FAB Restaurant. 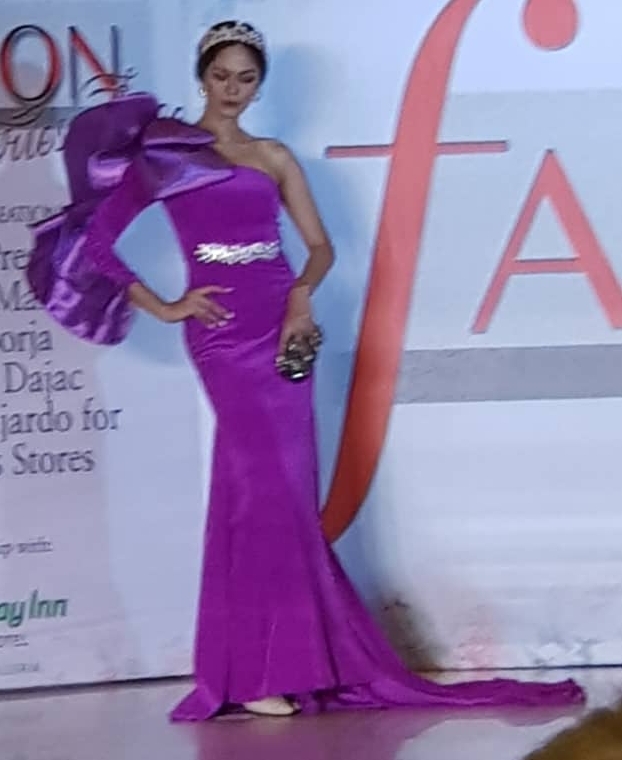 Ianne showed off a collection that had the guests applauding the gowns in pastel colors with eye-catching embellishments that make them perfect for formal occasions, parties and events. The clothes say this is Ianne’s year in fashion. 2018 is the year of unveiling the pride of Nouvelle, the head designer, Marianne Martin. She may have reservations in the beginning as she has the typical "behind the scene" type of personality, but she is now ready to take her position as the design leader of Nouvelle Haute Couture, managing her time well for family and business. For the next few years, Marianne Martin will focus on Nouvelle Haute Couture's transition to Marianne Martin Fashion House. The future Nouvelle Haute Couture is setting the trend of the future in fashion.